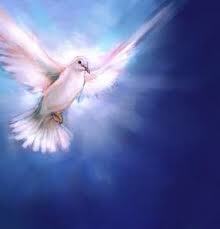 Is the Holy Spirit Given to Believers at Baptism? We’re in the season of giving gifts, and while the traditional Advent study focuses on God’s gift of His Son and our anticipation of His return, I wanted to look more closely at the gift He has given believers in the interim: His Holy Spirit. My previous post, What is “the Gift of the Holy Spirit”?, describes many instances in scripture when the Holy Spirit was given to believers. Most of those instances occurred immediately after or very near the moment of water baptism, or baptism was at least an integral part of the story. I don’t think this should be surprising. Luke is thought to be the author of both the gospel bearing his name and the one titled “The Acts of the Apostles.” The second one mirrors the first in many, many ways. That’s because the behavior of the believers intentionally mirrored the behavior of the Savior. I’ve heard it argued that Acts 2:38-39 can’t mean that the Holy Spirit is given to believers at baptism because Paul put his hands on some to receive the Spirit in Acts 19:1-7. (This takes place immediately after they are baptized.) I suppose that a similar case could be made regarding Peter seeing the Holy Spirit’s gifts displayed by the household of Cornelius before they were baptized in Acts 10:44-48. In response, I’d propose that Acts 2 expresses a general principle; the other accounts express extraordinary circumstances. The twelve in Acts 19 had received only John’s baptism. They heard about Jesus, the Christ, and were baptized in His name. The gentile (non-Jewish) household of Cornelius received the Spirit before being baptized, perhaps because Peter needed further convincing that they should be baptized. That’s a guess; but the fact that the story is repeated twice more indicates that Jewish believers may have needed some convincing, too. You see, “baptism of the Holy Spirit” is a thoroughly scriptural concept; it’s the idea that it regularly occurs separately from water baptism among believers in Christ that isn’t found in scripture. In the New Testament, Luke 11:13 notes that Jesus – after teaching on prayer and asking whether a father would give a son asking for bread a stone – says, “If you then, though you are evil, know how to give good gifts to your children, how much more will your Father in heaven give the Holy Spirit to those who ask him!” John 20:21-23 records that the resurrected Jesus breathed on the sequestered disciples and said, “Receive the Holy Spirit.” It would seem that the Holy Spirit is given, but on the condition of willingness to receive Him. With one exception of Saul being forcibly given a Spirit of prophecy which occupied him and spared David’s life from the king’s rage (1 Samuel 19:11-24), God does not generally seem to give the Holy Spirit to those who do not desire Him. My conclusion is that the Holy Spirit is given at God’s discretion, and most often to believers in Christ at baptism – an act which demonstrates (along with many other rich, deep values) the believer’s desire to be like Jesus, fulfill all righteousness and receive His Holy Spirit. ← What is “the Gift of the Holy Spirit”? One major difference I see in the Holy Spirit’s work before the death and resurrection of Jesus is refered to by Jesus in John 14:17 speaking of the coming Spirit, “…you know him, for he dwells with you and will be in you.” At this point while Jesus is in the flesh, the spirit is WITH them, but when He is poured out on Pentecost he will be IN them, thus the promise made my Peter in the all to familiar Acts 2:38. Keith, I have given up on my words convincing you. But I strongly recomment the words of others. “Again–Some will say, What does the expression Holy Spirit mean? Well, in scripture it stands first for God the Holy Spirit, and secondly for the holy mind or spirit of a believer–for illustration, take Peter’s words to Ananias, “Why has Satan tempted you to lie to the Holy Spirit; you have not lied to men, but to God,” (the Holy Spirit.) And the Saviour says, How much more will your heavenly Father give a holy spirit (as it should be translated) to those that ask him. Again–Praying in a holy spirit. Again–Paul says he approved himself God’s servant “by knowledge, by long sufferings, by kindness, by a holy spirit'” by a mind innocent of the love of gain, or commerce, or sensuality. “Now then the expression stands for both God the Holy Spirit, and for a believer’s spirit made holy by him. Walter Scott’s two-part “spirit” would seem to conflict with your interpretation that God is one and only one, Laymond. It would also conflict with 1 Corinthians 12:9-13 … Ephesians 2:18 and 4:4 … Philippians 1:27, where there is only one Spirit. metanoeō – repent- to change one’s mind. “Repent and be baptized” this phrase is found exactly one time in the bible. And does it say be baptized so you will recieve the “Holy Ghost”/ holy spirit. No! remission of sins. look at what Jesus said “REPENT” change your mind and therefore your ways. When you repent of evil ways, you become a holy spirit, acceptably to baptism into Jesus Christ. If there is no repentance (deciding to live a holy life, before and after baptism ) involved it simply becomes a bath. (the gift is salvation) If we continue in a holy life. do unto others as you would have them do unto you. It sounds to me like the forgiveness of sins and the giving of the Holy Spirit go hand-in-hand. It doesn’t sound like you can separate them, from what it says in Ephesians 1:3 … 2 Thessalonians 2:13 … Titus 3:5. Nothing in scripture – contrary to what you quote Walter Scott saying – indicates that we become a holy spirit; there is only One. We beome one WITH the Lord in spirit (1 Corinthians 6:17) and one in spirit with each other through the sharing of His Spirit (Philippians 2:1-2). One more tidbit Keith and I am through on this subject, we recieve a holy spirit through belief, and trust in the word of God brought to us by his Son, Jesus. I don’t think Acts 2 is can be shown to be a general circumstances while the other two instances are special. I believe that all of the conversion narratives in Acts are special and are trying to show the fulfillment of Jesus’ prophetic commission (cf., Acts 1.8). Be that as it may, the conversion narratives are all we have in scripture as to knowing how people responded to the gospel upon belief. In addition to the conversion narratives, we have other scripture which both affirm that baptism was an essential part of being and becoming a disciple (e.g., Rom 6.3-4) and that disciples were endowed with the presence of the Holy Spirit (e.g., Eph 1.13-14). Rather than trying to parse out the exact order in which various spiritual blessings are received in relationship to our obedient faith (as if that is what matters most), I believe we ought to just obey God as he teaches trusting that God will do as he has promised. As I heard Francis Chan remark in a sermon of his, why do we ask such things because the believers in Acts didn’t…they just obeyed and trusted God to do as he had promised in whatever manner, time-sequence, etc…God willed. As for what some others want to claim about the Holy Spirit….if they are going to cite non-biblical authors in an attempt to define who/what the Holy Spirit is, I suggest they go way back before Walter Scott and read some of what other Christians within church history said. I understand…no big deal though. I think we both agree that our response to the gospel if repentance and baptism trusting that God will give us the gift of the Holy Spirit as he promised. I am curious why in the Churches of Christ we are so quick to say that the declaration of v. 39 makes v. 38 to still be a literal normative but then say that the declaration of v. 39 does not mean accepting the prophesy of Joel spoken in v. 17-21 as literal for today. Seems very inconsistent…especially since the Churches of Christ have historically held our time period to still be in “the last days”. But then again, from my perspective, our fellowship has not always been known for being the most consistent and coherent when it comes to biblical interpretation…we sort like to interpret scripture as though scripture was a buffet from which one can pick and choose what is still binding today and what is not. Any ways, I love the post and agree with your conclusion. So I hope my first comment did not sound like I had a major problem with what you are teaching because I don’t. Thanks, as always, for visiting, Rex … and I hope to address that item in a future post. Keith, what about those who have had an infant baptism and came to faith at some point in their lives and have not been exposed to the teaching that credo-baptism is “necessary”? When do they receive the gift of the HS? The gift is given at God’s discretion. I may have received Him at baptism when I was nine years old, but I certainly wasn’t aware of Him. And it’s not like every aspect of His presence in our lives must be spectacularly miraculous or imperceptibly subtle or completely inscrutable: 1 Corinthians 12:13 tells us that no one says, “Jesus is Lord” except by the Holy Spirit. So I would surmise that there have been believers who – with ever fiber of faith in their being – have uttered that confession without having an inkling of His presence in their hearts … like me, in my early years. Among the things I communicated to my 14-year-old daughter when I baptized her last summer was that she was expressing her desire to receive the Holy Spirit. She had no qualms about that, even though I’m sure I haven’t shared with her all the depth of my shallow knowledge of Him with her. I believe her willingness was enough, and she was ready! And I can see the fruits of the Spirit blossoming and maturing in her life. That’s good, Keith, that you don’t believe the HS is given exclusively at baptism (taking baptism as immersion credo-baptism). Or else NT Wright, CS Lewis, William Wilberforce, John Newton, Mother Theresa and millions of other Christians who are in denominations which have infant baptism would all not have received the HS. I was converted to Christ in 2001 and was baptised in 2008. My Christian walk attests to the receipt of the HS prior to 2008. I can’t believe that almost all those at my previous church (Anglican) have not received the HS. The fruit of the Spirit in their lives and walk with Jesus refutes that. Keith, your first commenter talked about a distinction between the Holy Spirit as a gift, sent to dwell within a believer, transforming them into His likeness, and a gift (or ability) that the Holy Spirit empowers a person to do, as seen in Scripture at the laying on of the hands by the apostles (or by the elders in Timothy’s case…but that’s a whole ‘nother can of worms). Because when Paul speaks of the Holy Spirit living within a person, he says it is evidenced by things such as love, joy, peace, patience, etc. I can see a distinction, because Paul repeatedly teaches that they all received the same Spirit, but they received different gifts from the Spirit. When Paul lists these gifts given by the Spirit, he mentions miracle working, speaking in tongues, prophecy. But within that very same context, he also mentions gifts such as administration, teaching, pastoring, evangelizing, giving, helping others. So I guess I don’t understand how one can say that we have the gift of the Holy Spirit, but we don’t have the gifts that His Spirit gives anymore? But first, I think we need a post that adds the word “Today” to the title of this post! ” no man can say that Jesus is the Lord, but by the Holy Ghost.” Keith can you expound on what this means to you.? And all this time I thought it was an expression of accepting Jesus Christ as our Lord and savior. unless you deny that “God the Father” is sometimes referred to as “The Holy Spirit/Ghost” I think we can do just that. (Jesus “The Son of God” as we have seen in the gospels,Jesus’ father is referred to as “The Holy Ghost/Spirit” and God, referring to the same being. Read what Peter said, and what Paul said, and see if they did not say (essentially) the same thing. That doesn’t mean that Jesus and/or eternal life are the only gifts God gives, laymond. Merry Christmas, laymond! Enjoy God’s gifts. I agree Keith, it just the one he gives at baptism. read the rest of Romans 6.